I have very fair skin. I wear sunless tanner all season long and bronzer is my friend this time of year. I am an avid sunscreen wearer, too, so I can avoid getting red like a lobster. This girl loves a healthy glow, though! 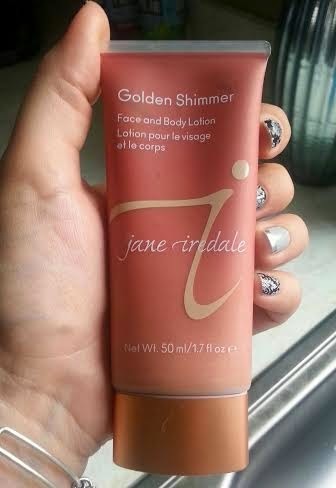 Not long ago, I decided to try Jane Iredale Golden Shimmer Face and Body Lotion. You can wear it on the face and body on its own or for a summer shimmery tan, you can mix it with my go-to sunless tanner, Tantasia. When I am not baring much skin, I wear it as is for its subtle radiance. When I have bare arms and legs, I blend two parts Tantasia to one part Golden Shimmer for a natural looking tan with a hint of sheen. This is the way I actually prefer it. It just looks healthy, beachy and radiant. A little goes a very long way. 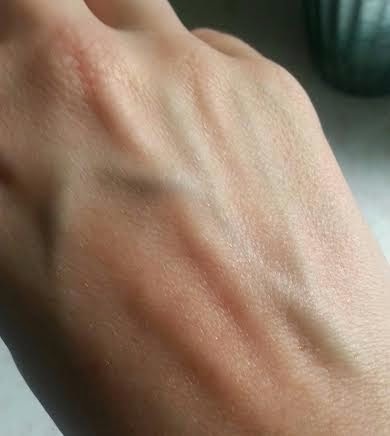 Do you see the picture down below below with the lotion squeezed onto my hand? That is the amount I use to do both arms. So this tube is going to last me a while! 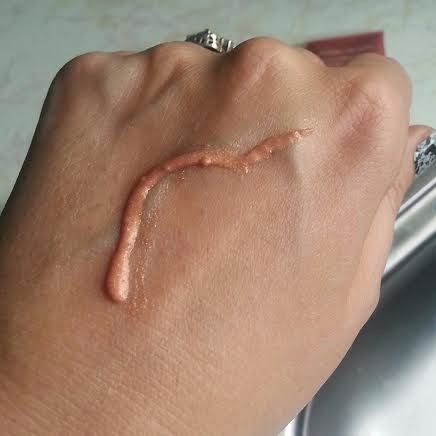 You can wear this on your face, but it was too much sheen -- in my opinion. You may not feel the same way, so if you get this product, test it out on your face to see if you like it! As always, Jane Iredale only uses paraben-free formulations with ingredients shown to truly benefit the skin. From aloe and Green Tea to radish and apple, there are so many fabulous ingredients in here! This is what the Jane Iredale Golden Shimmer looks like before it is blended into the skin. Disclosure: I received this product at no cost for possible review. This is no way has impacted the review and all opinions are my own.